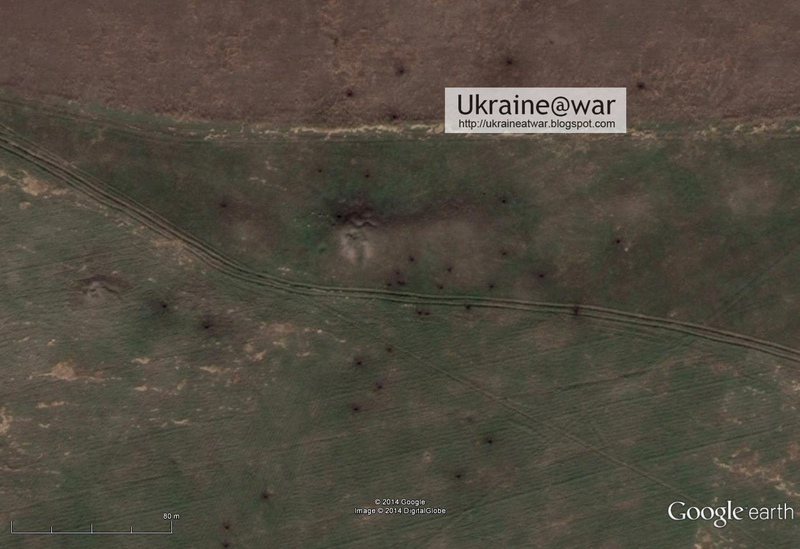 From top to bottom it is 5 kms long and it is 500 meters wide (red areas on the left side). 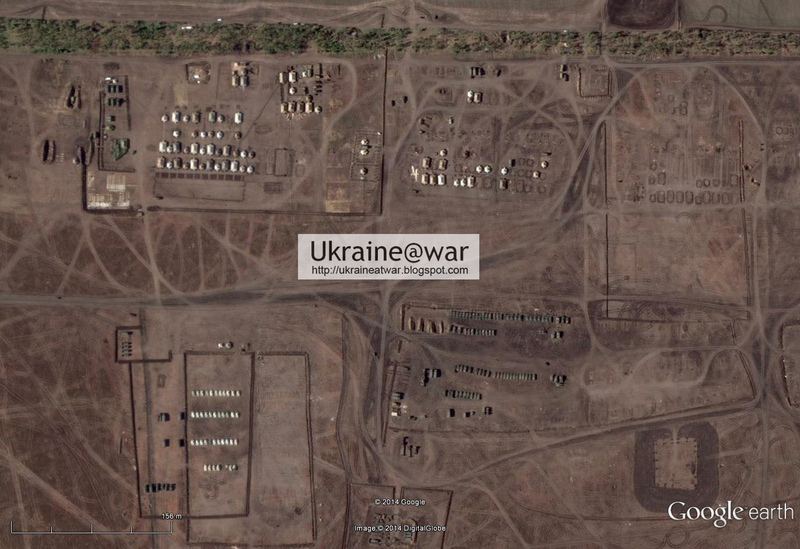 Even the Rostov camp is not that large. 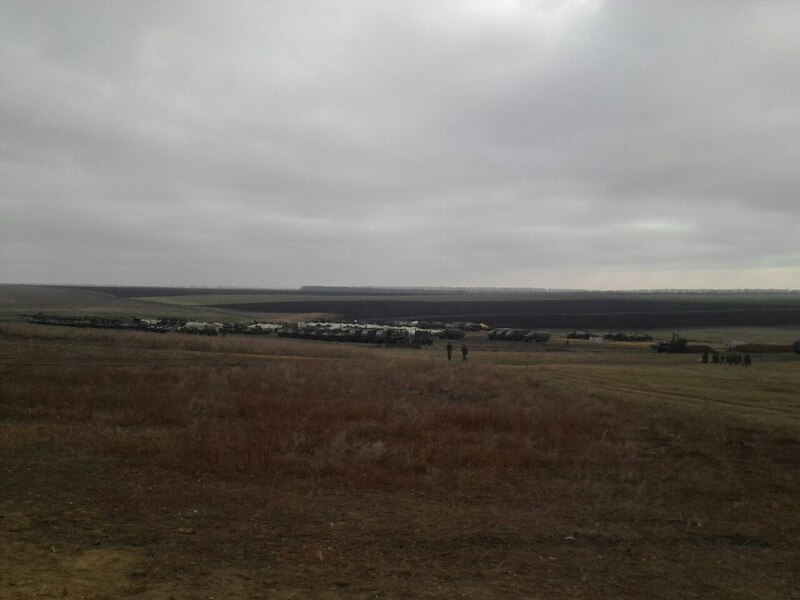 The biggest part of the Rostov camp is 1,5 x 1,5 kms. 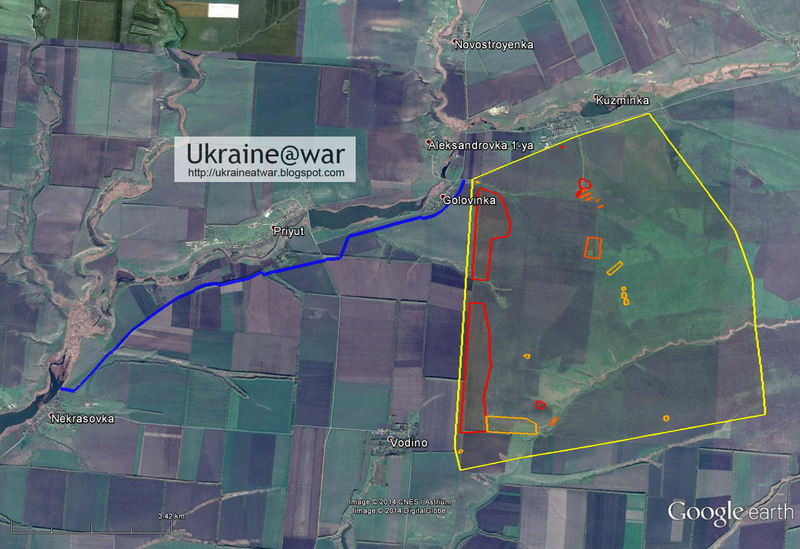 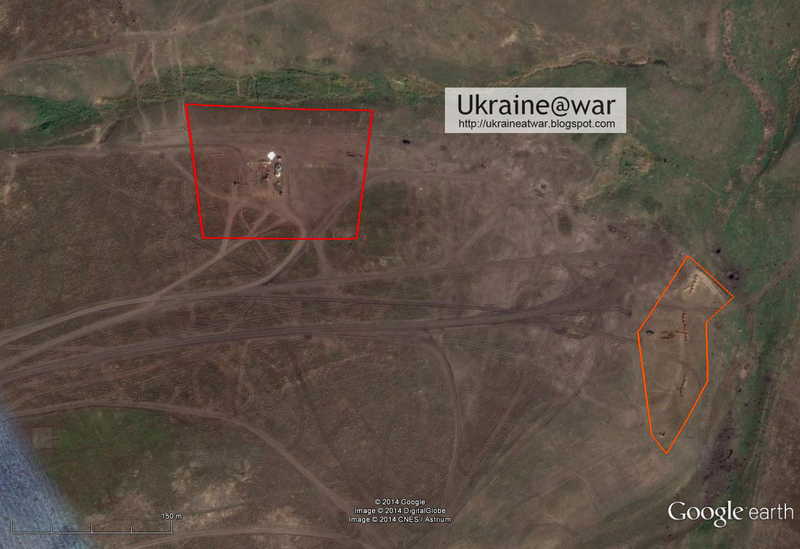 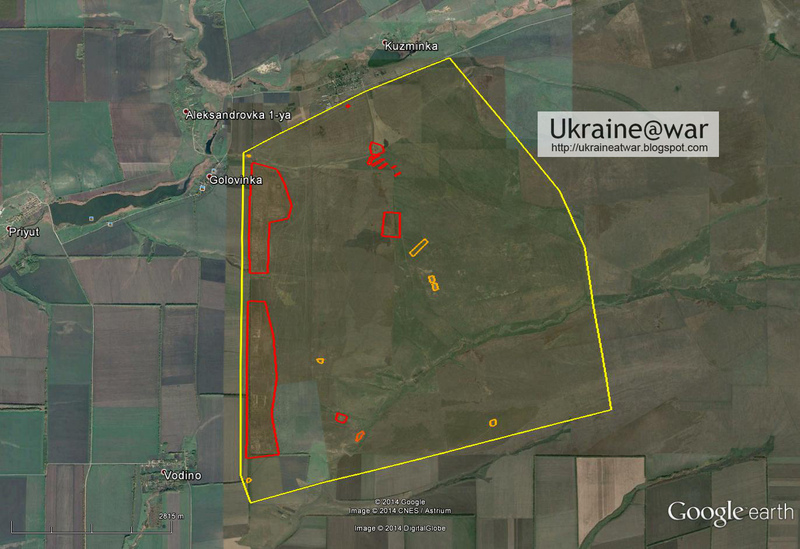 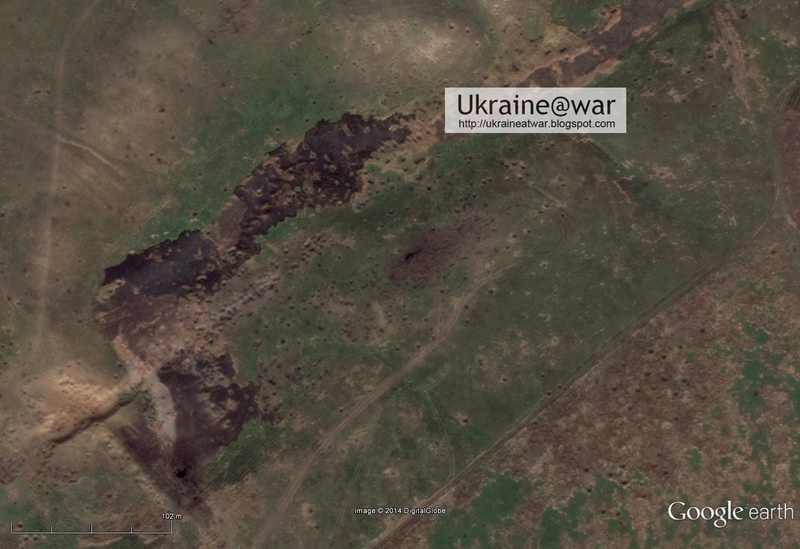 The entire area East of the camp seems to be a training field for firing some 5 x 5 kms and is littered with tracks and strange objects (large yellow area). 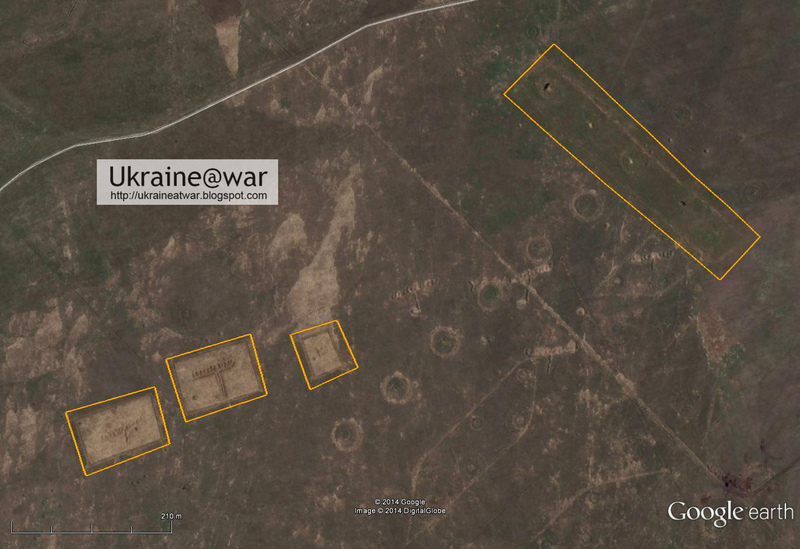 Clearly this camp has been build as a stepping stone for the August 24th Russian invasion that led to the Ilovaisk disaster and defeat of the Ukrainian army. 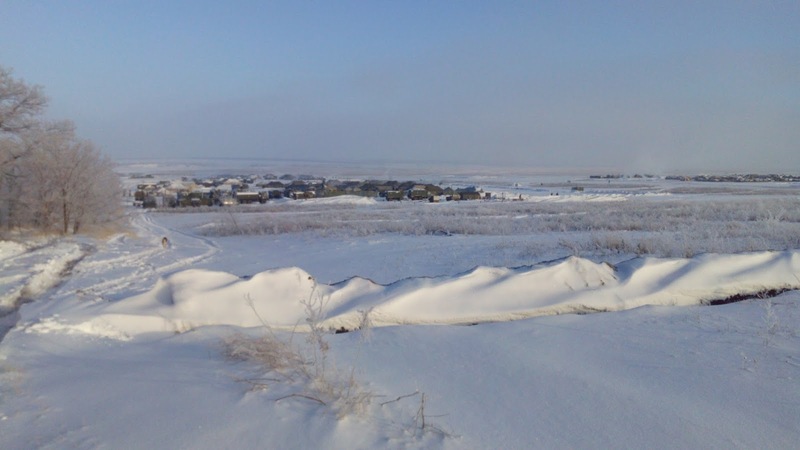 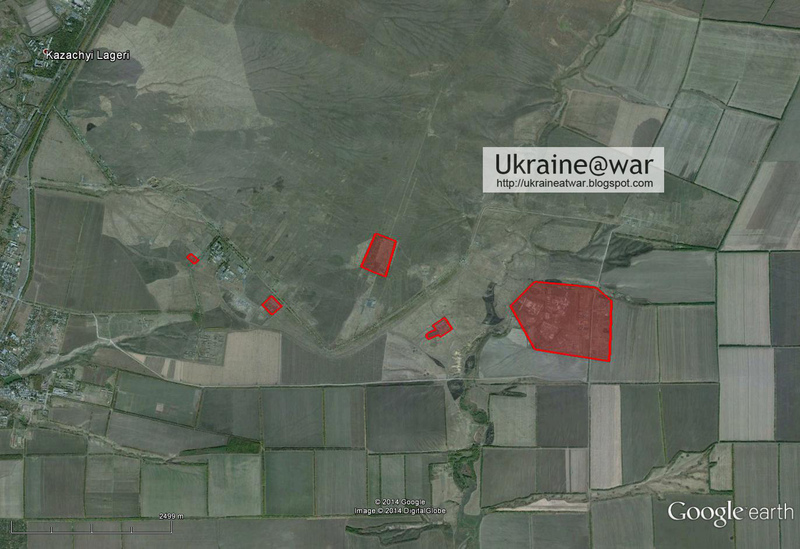 Also read this blog about the Ilovaisk disaster. 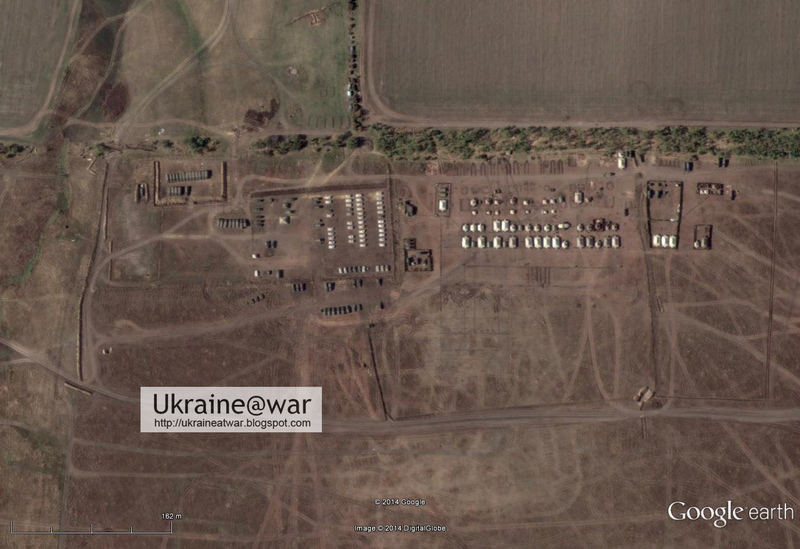 Some 200 large tents can be counted. 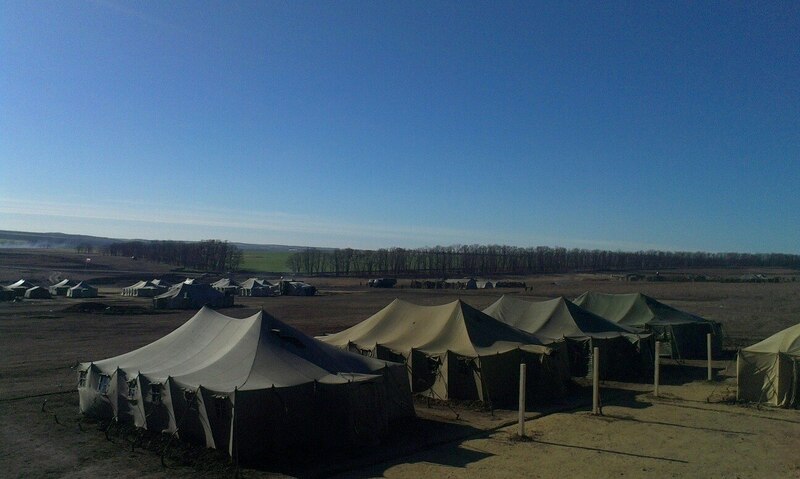 If 20 people can sleep in a large tent, it could give shelter to 4.000 people. 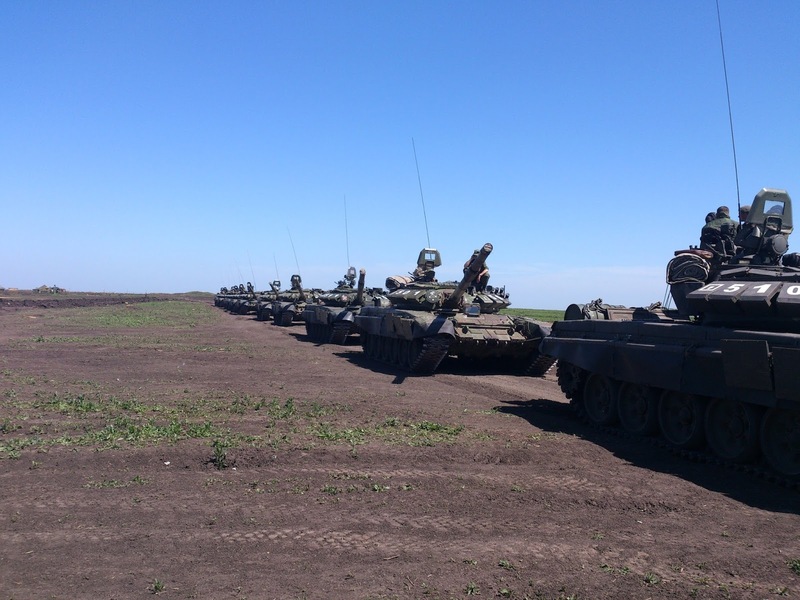 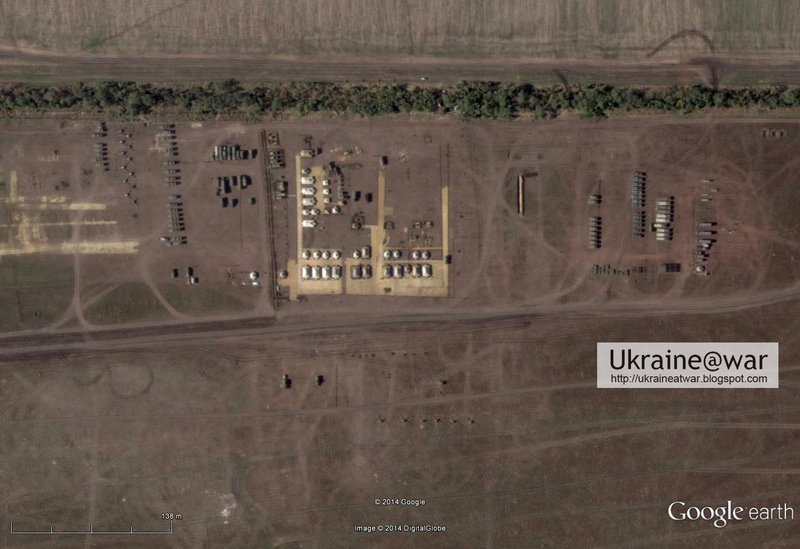 These might have been from the units that have entered Ukraine after having temporarily stayed in this base. 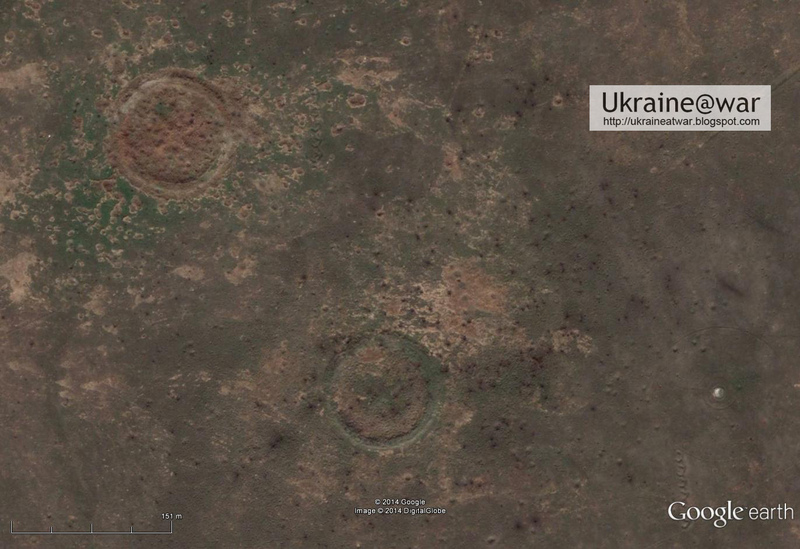 But these might also be ad hoc ammunition bunkers. 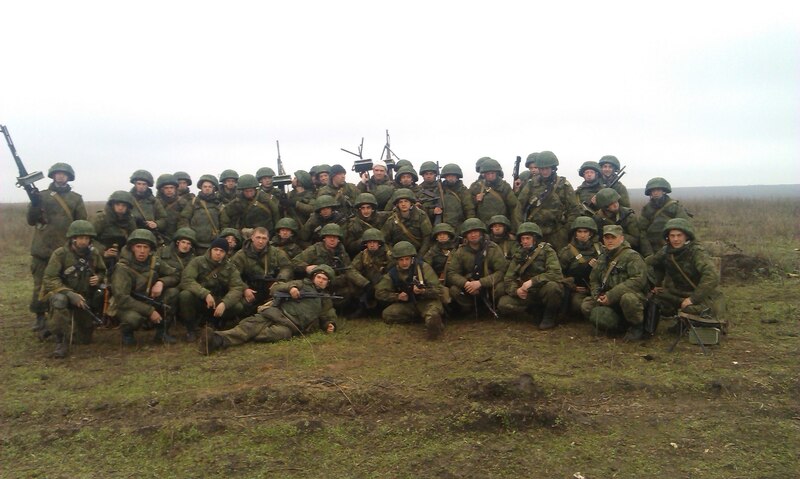 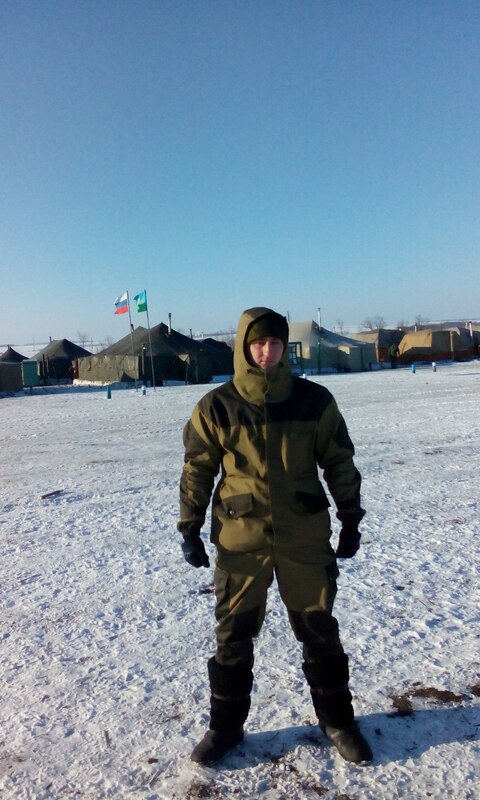 It was already known from VK-photos that this camp existed. 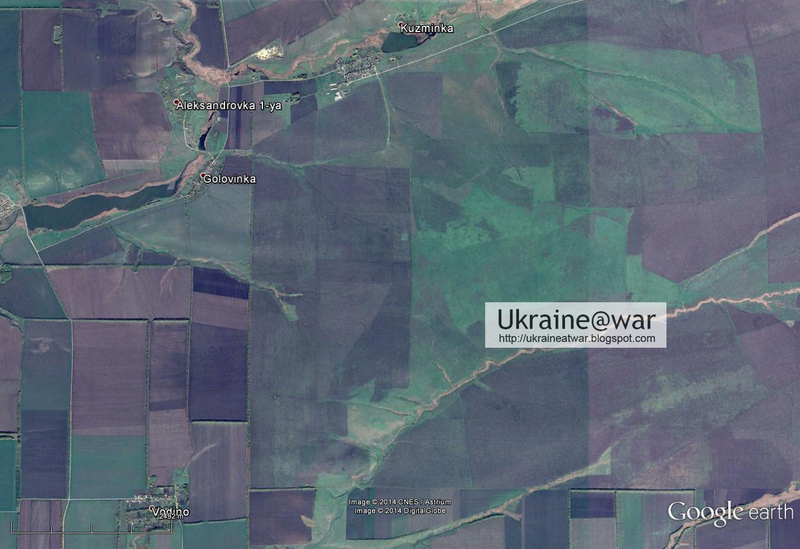 But now the full extent of it is clear. 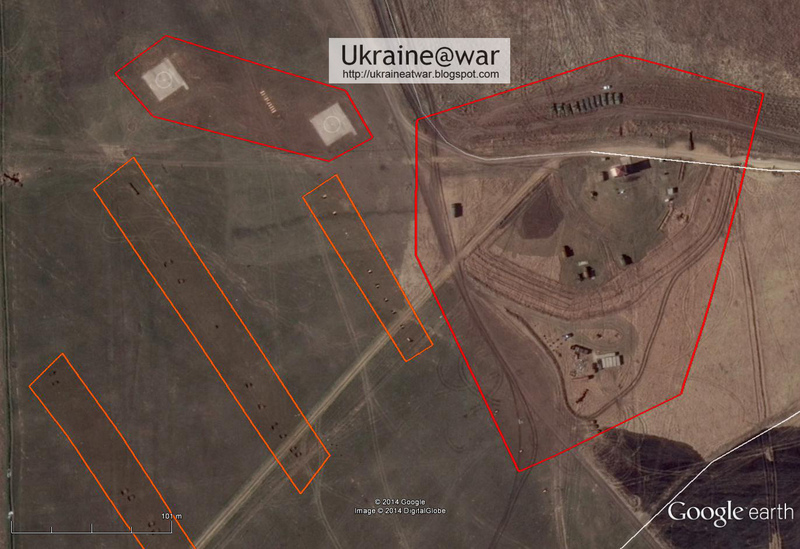 This can be seen on the October 20th 2013 image, but NOT on the August 28 2012 image. 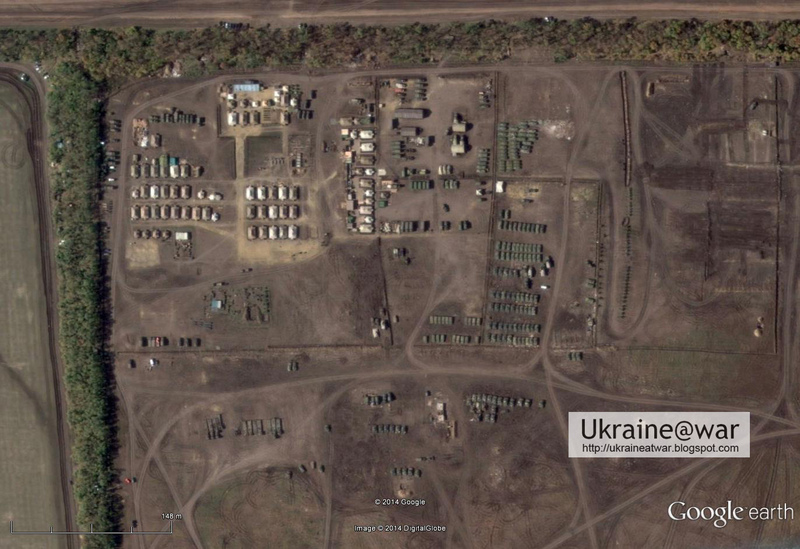 It means they were already executing the plans to build this camp (for invasion of Ukraine) at the end of 2013. 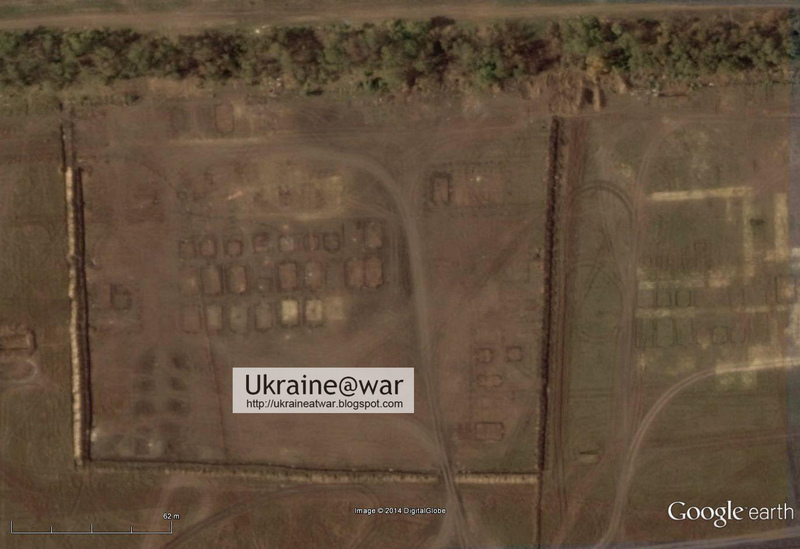 Also see: Some 100 photos of the Russian Golovinka base. 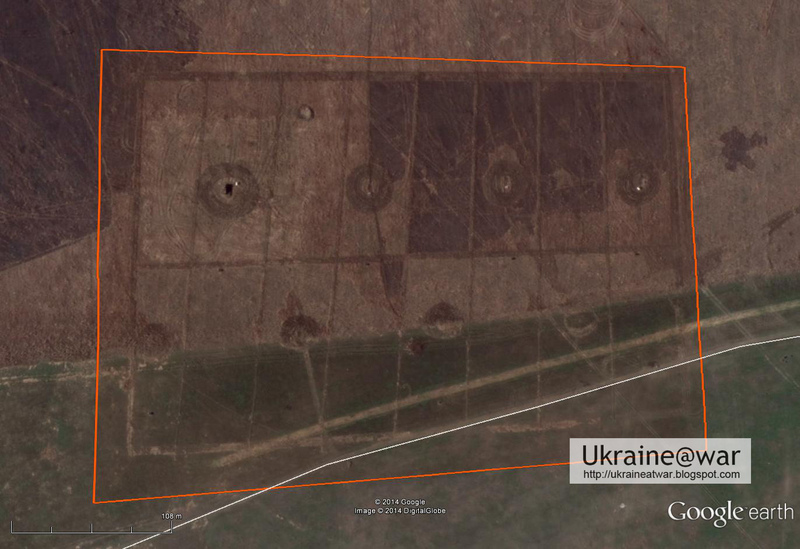 Also see: One radar unit identified at 19 kms from MH17 launch site. 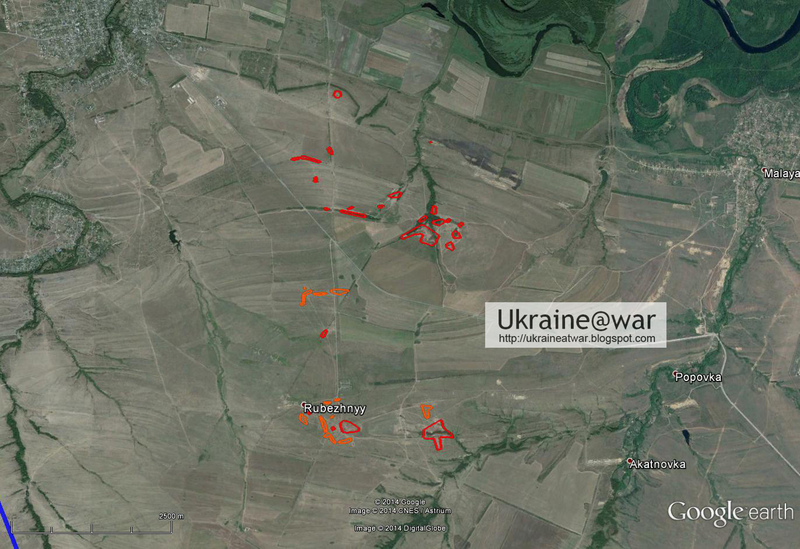 Also see: AAAS-report may show actual Russian August invasion force.